Three of HPP’s Energy Team, Andrew Cotton, Laura Leino and Ella Rinne have contributed the Finland chapter to the recently published Global Legal Insights: Energy 2019. The book is part of the Global Legal Insights series in which the world´s leading lawyers provide essential insights into current legal issues. 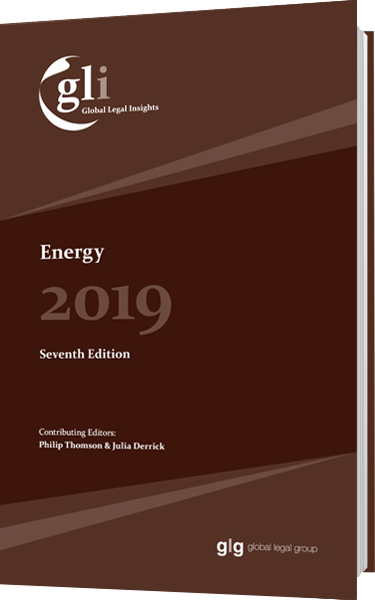 The book provides an overview of the worldwide energy market and covers the latest changes in the energy situation and summarises the latest developments in legislation, regulation and case-law affecting the energy sector. It will be a useful read for energy industry professionals, investors and lawyers from other jurisdictions assisting clients contemplating undertaking projects or investments in the Finnish energy sector. HPP’s Energy team is one of the leading energy teams in the Finnish legal market, as reflected by its ranking as a Tier 1 energy firm in each year in which leading global law firm directory, Chambers, has issued rankings for the ‘Energy & Natural Resources’ category. HPP’s Energy team is constantly involved in significant energy projects and transactions and has broad experience advising specialist energy funds, investors, financial institutions and project companies on the full range of legal issues involved in energy project development and investment.